Dolphins are so intelligent they should be given the same status as humans, scientists are recommending. The aquatic mammals are the world’s second brightest creatures after humans – leapfrogging chimpanzees who have been pushed down to third in the cleverness stakes. Experts say it is now time for dolphins to be treated as ‘non-human persons’ after research showed their brains have many features associated with high intelligence. They claim it is cruel to keep such intelligent animals in amusement parks, or to kill them for food or by accident when fishing. Some 300,000 whales, dolphins and porpoises die in this way every year. A study carried out by Lori Marino, a zoologist at Emory University in Atlanta, used MRI scans to map the brains of dolphin species and compare them to primates. She said: ‘Many dolphin brains are larger than our own and second in mass only to the human brain when corrected for body size. Professor Marino found that the cerebral cortex and the neocortex of bottlenose dolphins were so large that ‘the anatomical ratios that assess cognitive capacity place it second only to the human brain’. The brain cortex also has the same complicated folds associated with human intelligence. Dolphins have long been known for their intelligence. However it had been believed that chimps – who can attain the intelligence levels of three-year- old children – were the brighter of the two. 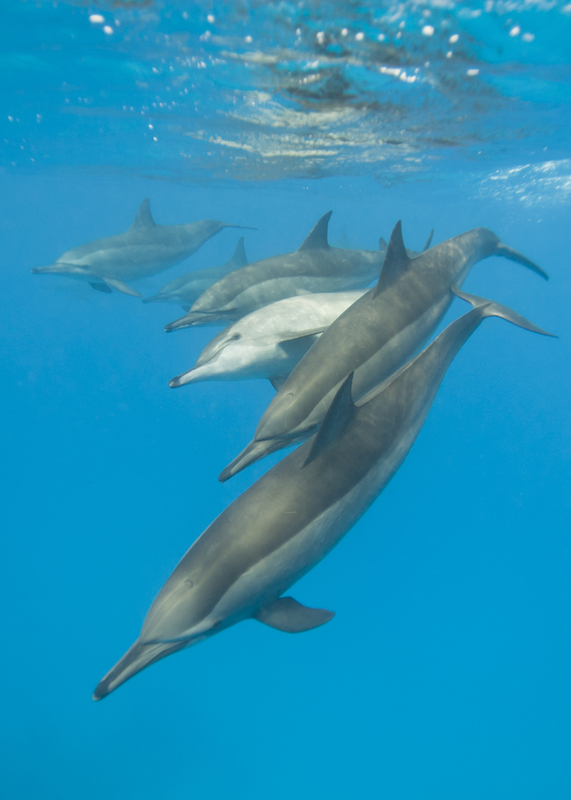 New studies imply that in fact dolphins – especially species such as the bottlenose – are the more intelligent. They have distinct personalities, a strong sense of the self and can think about the future. 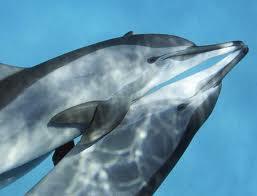 They are also ‘cultural’ animals, with new types of behaviour being picked up by one dolphin from another. In one piece of research, bottlenose dolphins were shown to be able to recognise themselves in a mirror and use it to inspect various parts of their bodies. Captive animals can also learn a rudimentary symbol-based language. Dolphins’ famed intelligence has also made its way into fiction. In Douglas Adams’s story, The Hitchhiker’s Guide to the Galaxy, dolphins escape from Earth after humans fail to interpret their warnings that the planet is about to be destroyed. Professor Marino will present her research at a conference in San Diego next month. She will use it to argue that it is morally repugnant to mistreat dolphins. Also at the conference will be Thomas White, professor of ethics at Loyola Marymount University in Los Angeles, who argues that dolphins deserve rights. This is very important! Thank you very much… I even dare to say that cetaceans, at least a certain amount of them are more intelligent than us humans. They have wisdom like spiritual realized masters. I am always surrounded by the astral presence of dolphins and they help with astral healing of the all beings with God-Essence. They can bring the beings in touch with the root of their suffering. An example apart from healing: we have a cat that wakes up my 7 year old girl too early by miauwing loud at the slightly open window. I tried to send her away with ‘mind power’, but she didn’t take any notice of my attempt. I asked one of the dolphins telepathically to send the cat away and immediately she went to the window and pushed the cat away with her snout, the cat hasn’t done it since, in the early morning….!! !